Last week I attended the ATA show in Louisville, Kentucky and as always everyone is always excited to see what products are coming for the upcoming year. This year, there didn’t seem to be many buzzworthy products, but I’m always looking for those smaller, budget friendly products. Below I will go through three of my favorite products from this year’s ATA show that won’t force you to take a big hit in the wallet. Billed as a “Modern Day Trophy Display”, this neat product gives you a very cool way to display your shed antlers. Right away, I noticed this product and it caught my eye. If you are looking for a way to display one or a couple of your favorite sheds, this might be something to look into. They have an RH 1 model meant to display a single antler for $34.99 and an RH2 model that displays a set of antlers for $59.99. 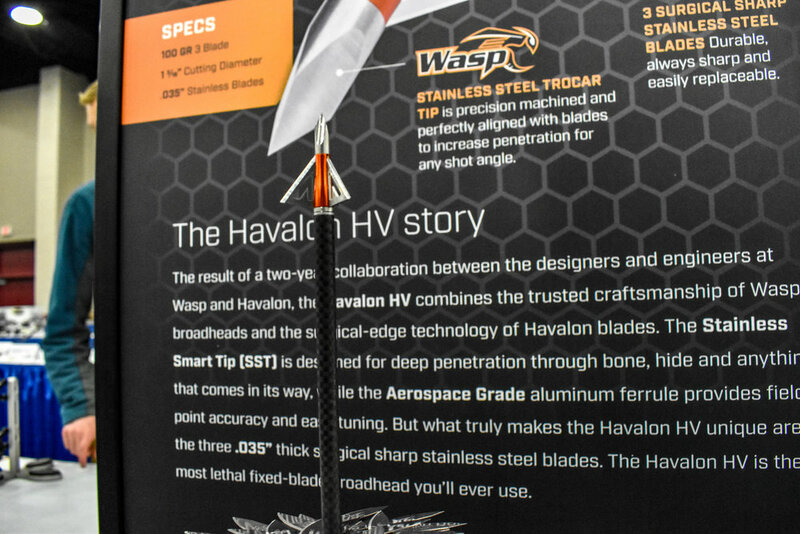 Though I have never shot a fixed blade broadhead before, once I heard Wasp and Havalon teamed up to make a new broadhead, I knew I had to check it out and if I were to ever try shooting a fixed blade broadhead, I would be very tempted to give this one a try. Wasp describes the head as “It features an aerodynamic, ultra-compact, aerospace-grade aluminum ferrule that provides field-point accuracy and easy tuning. The .035-inch thick surgical sharp stainless steel blades combine for a 1-3/16” cutting diameter. As with all Wasp fixed blade broadheads, the blades are easily replaced and each pack comes with three complete broadheads and 6 replacement blades.” The pack of three broadheads will run you $44.99. I haven’t fully dove into the whole ozone idea yet, and I’m not sure if I will, but for the last couple of years I’ve owned the Scent Crusher Ozone Go and have liked how it performs. The Ozone Go Max is the same thing, but with 25% greater performance. I can totally tell the difference when the normal Ozone go is on in my truck and it’s a simple way to do something that might just help a little bit. The chemical free ozone destroys most odors in 30 minutes. For $49.99, this can be yours. As you start looking at what you might need this upcoming season, these three products could be something to look into. None of them are groundbreaking products, but for the price, they are all things that I think could be worth purchasing this year.